Who doesn't like to receive a basket of treats? 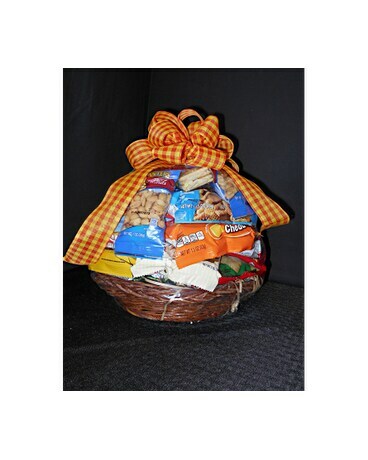 Filled with cookies, pretzels, fruit snacks, crackers, nuts and more. Prices begin at 25.00 and up to fit into your budget.